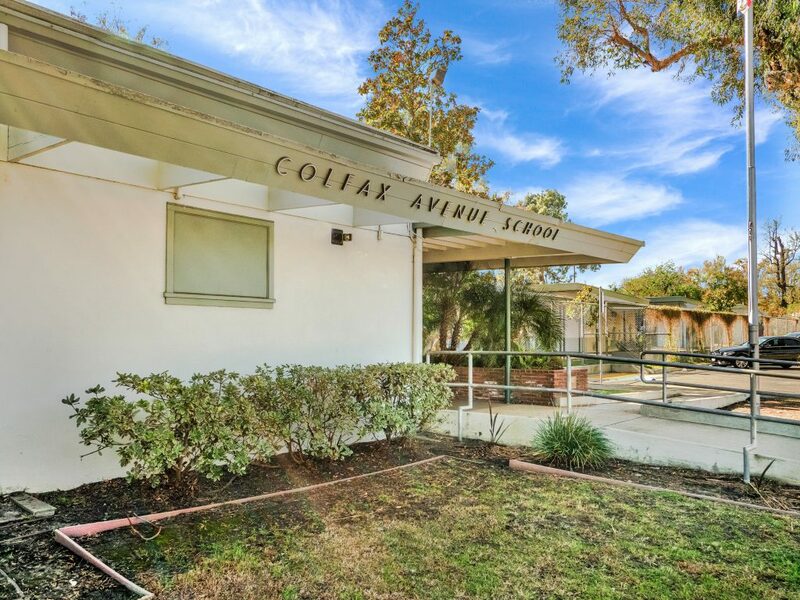 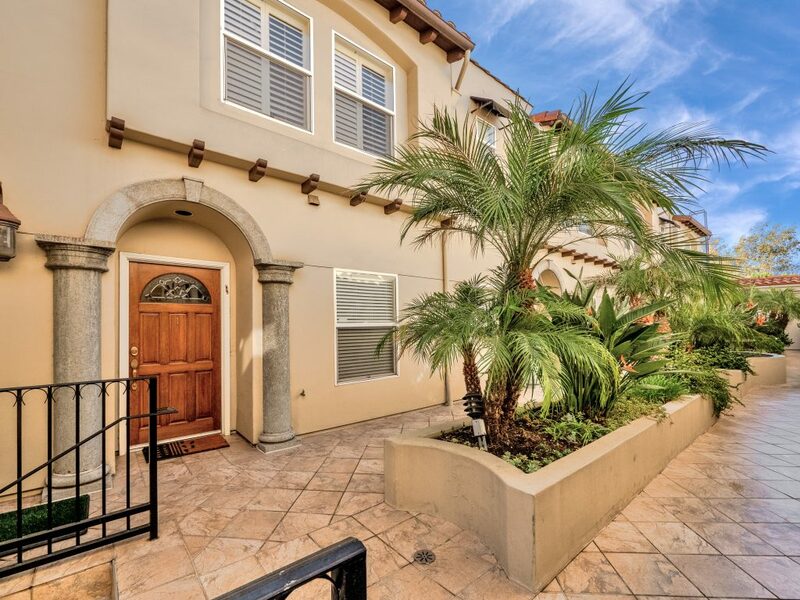 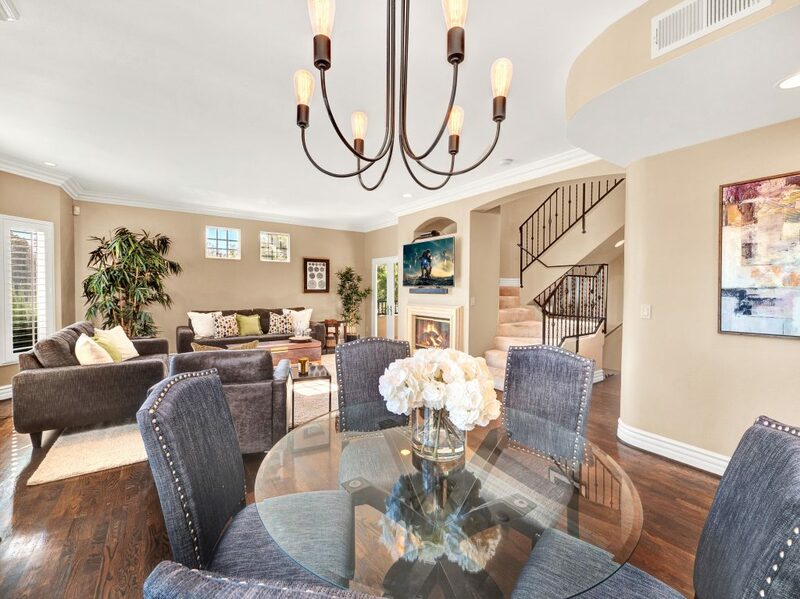 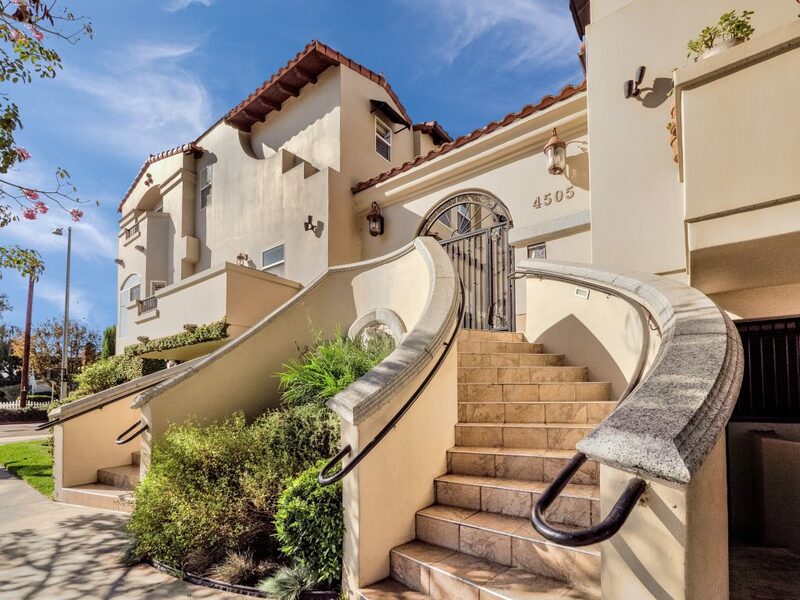 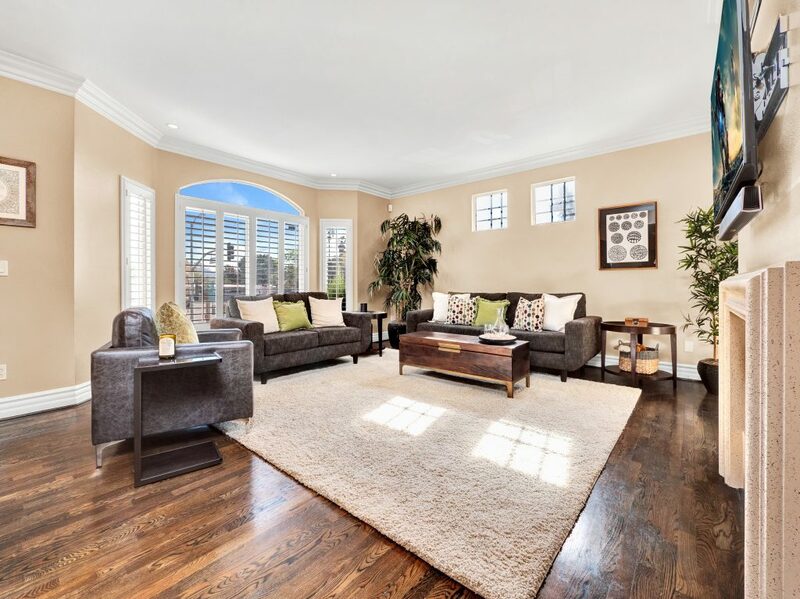 Mediterranean style townhome located in the highly desirable Colfax Elementary school district in Studio City. 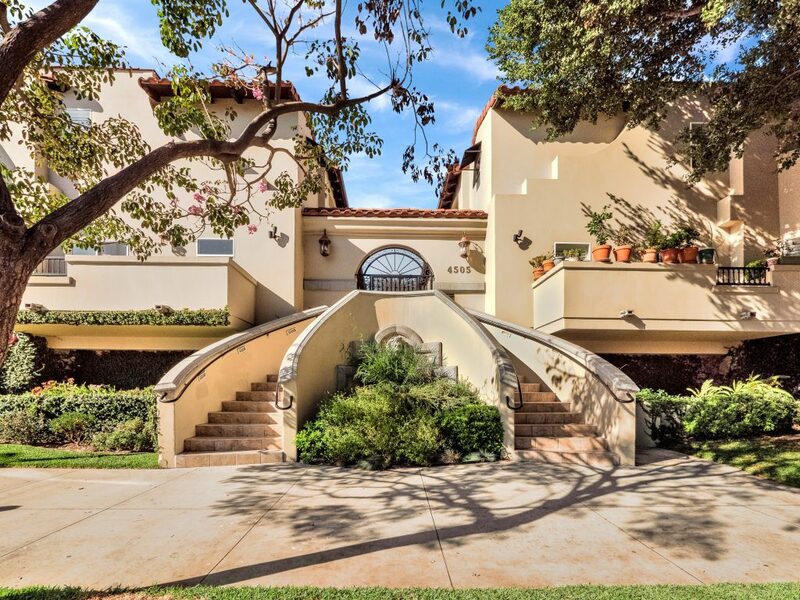 The buildings secured entry opens to a lush courtyard with palm trees and tranquil fountain. 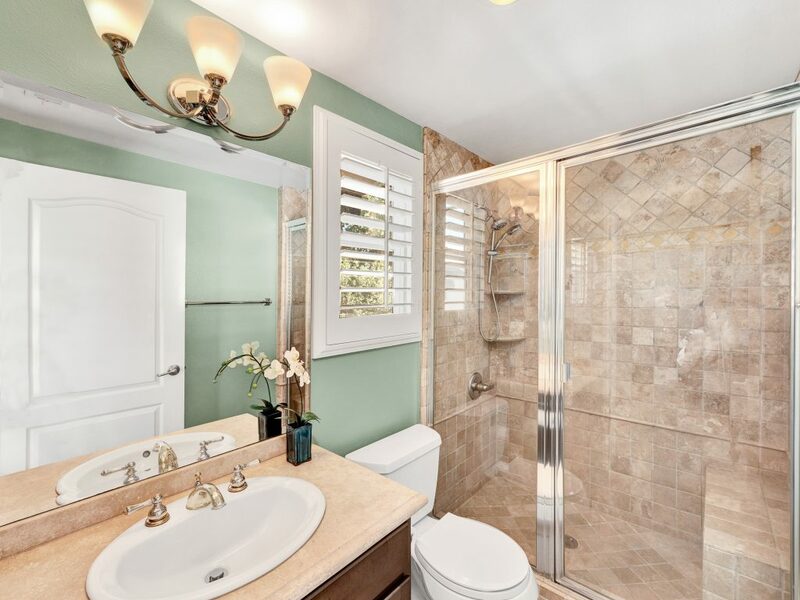 The home’s main level has an open floor plan with wood floors, high ceilings, and an abundance of windows with plantation shutters, flooding the space with natural light. 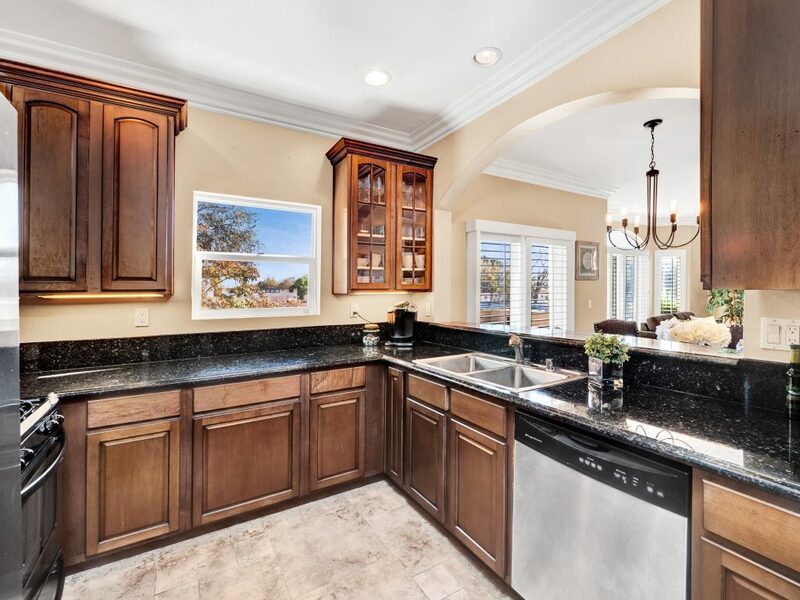 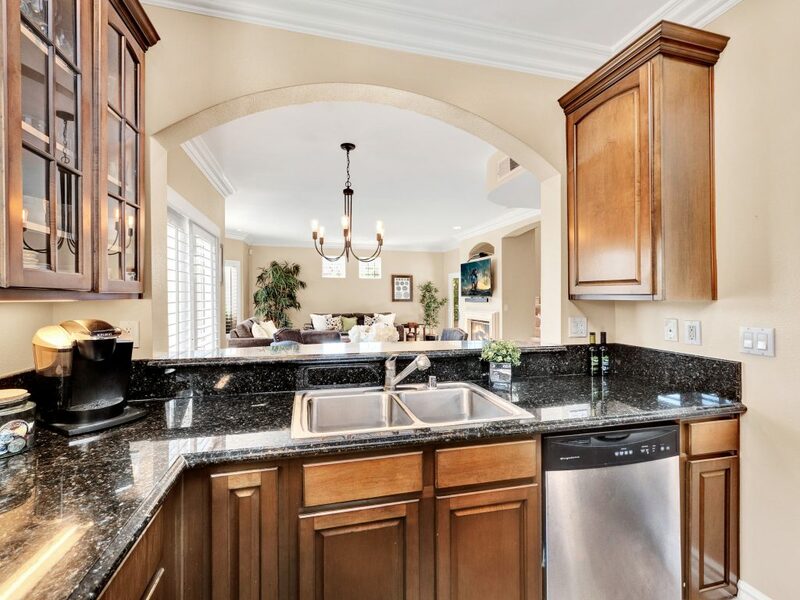 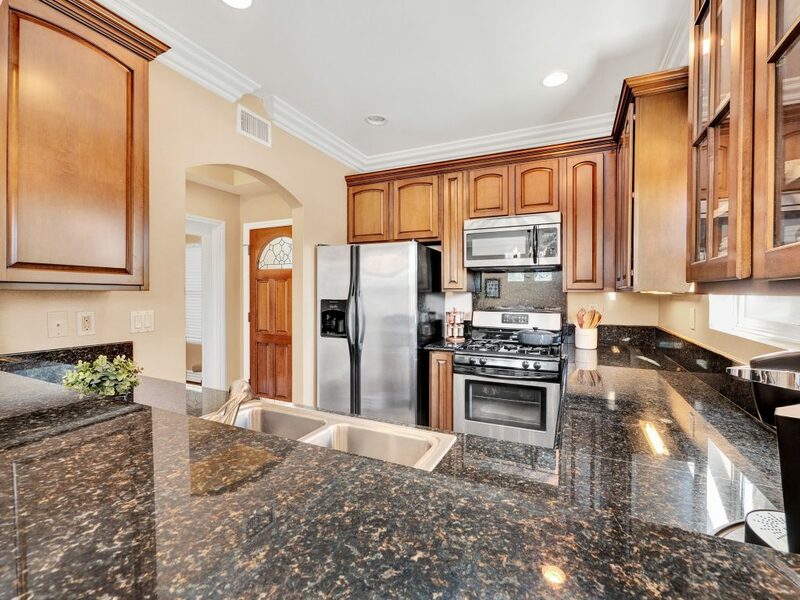 The kitchen features granite countertops, stainless steel appliances, and a breakfast bar that opens to the spacious dining area and living room. 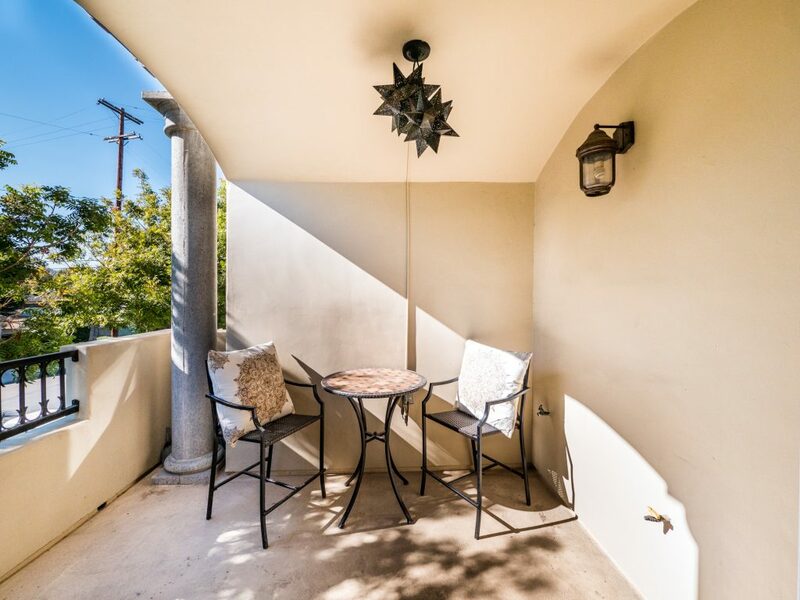 The living space has a sophisticated fireplace, crown molding, and 2 balconies, perfect for cool breezes and outdoor dining. 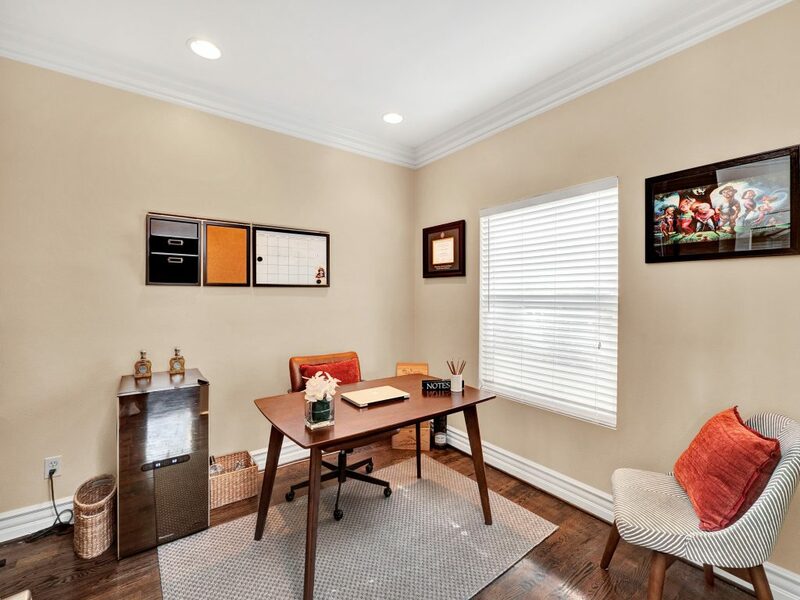 Also on the main level is one of the three bedrooms, ideal for an office space or guest room, and a ¾ bath. 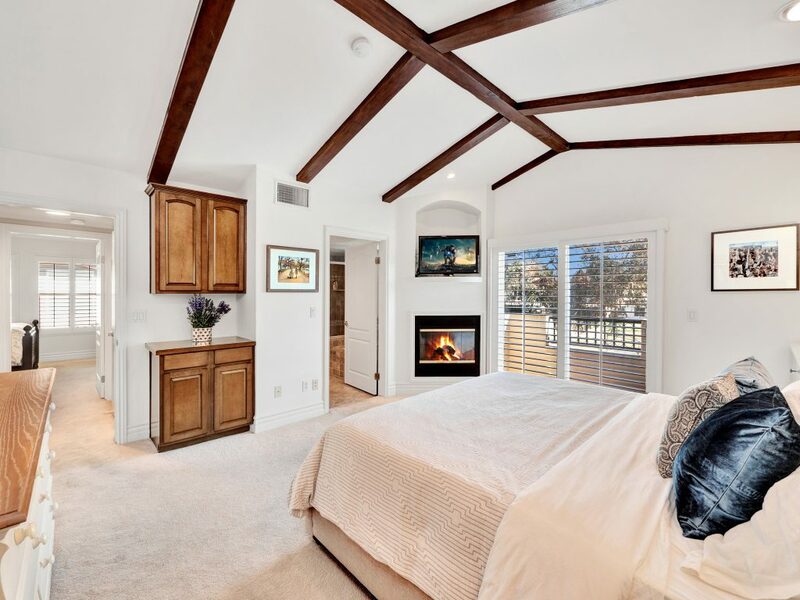 Upstairs there are 2 master suites, both with walk-in closets and high ceilings. 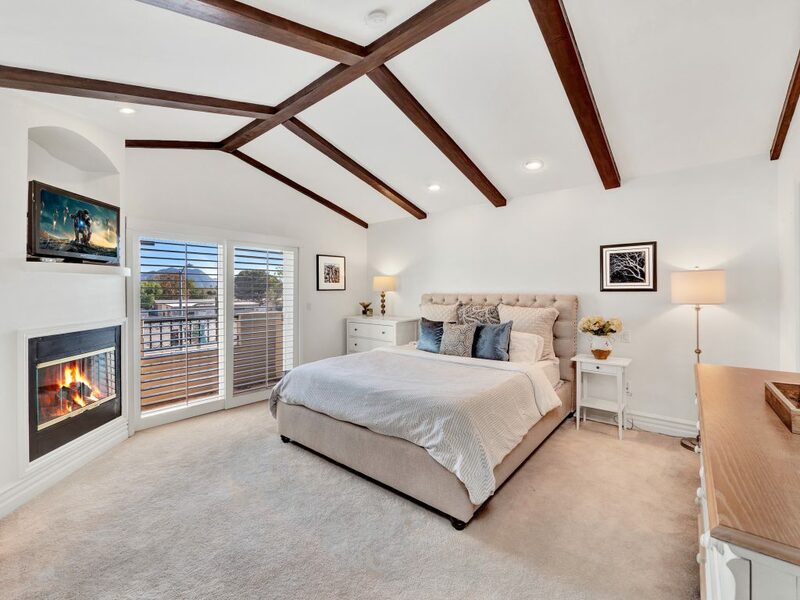 The main master bedroom boasts striking beamed ceiling, an additional fireplace and a balcony, making it truly luxurious. 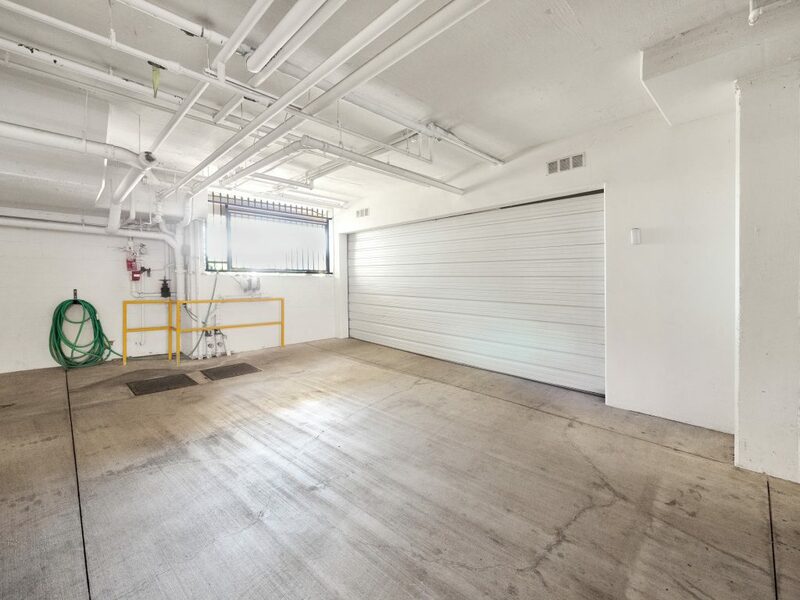 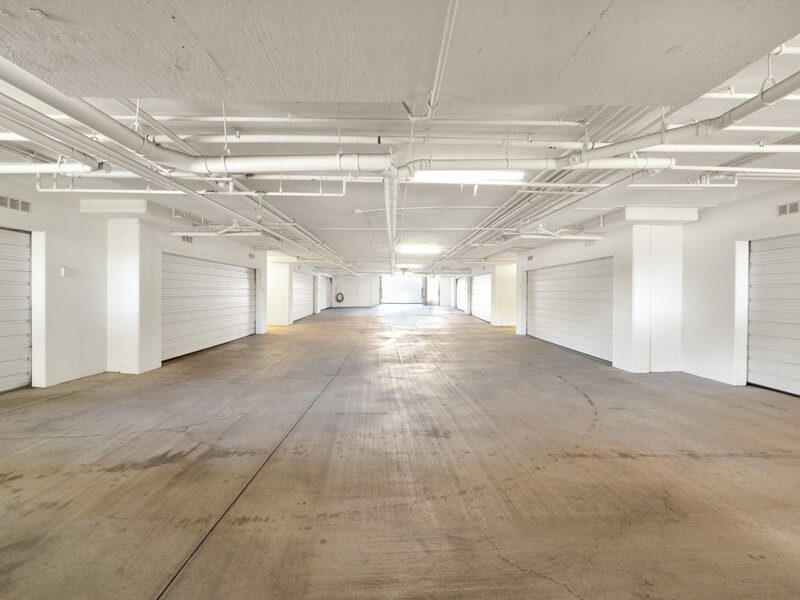 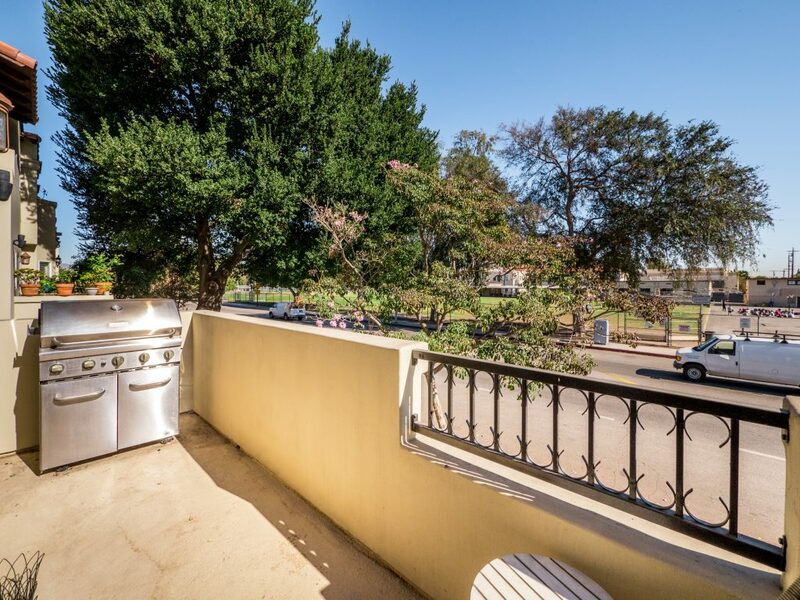 Other features include private, attached 2-car garage, washer/dryer in unit, and separate guest parking. 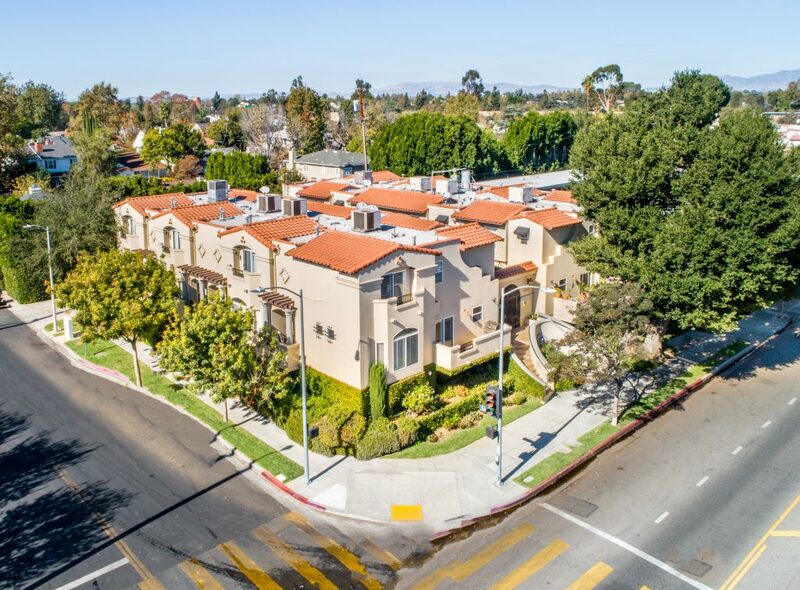 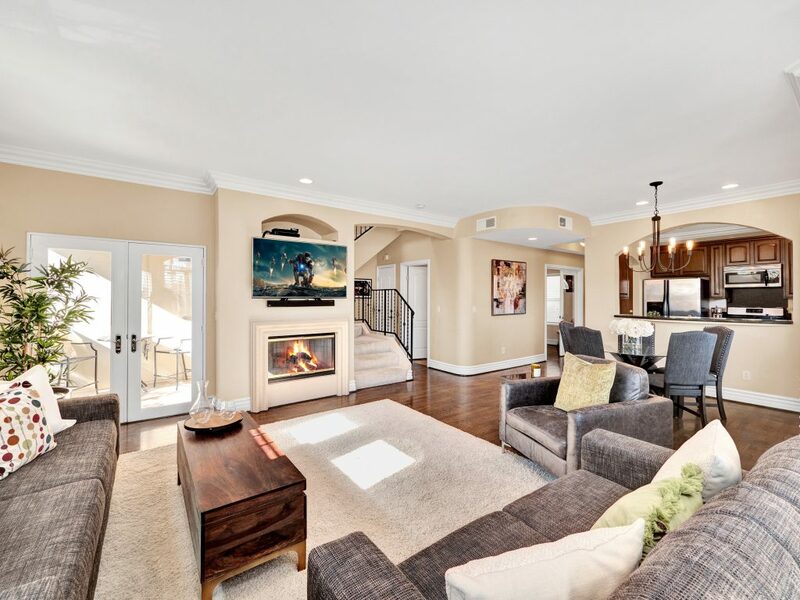 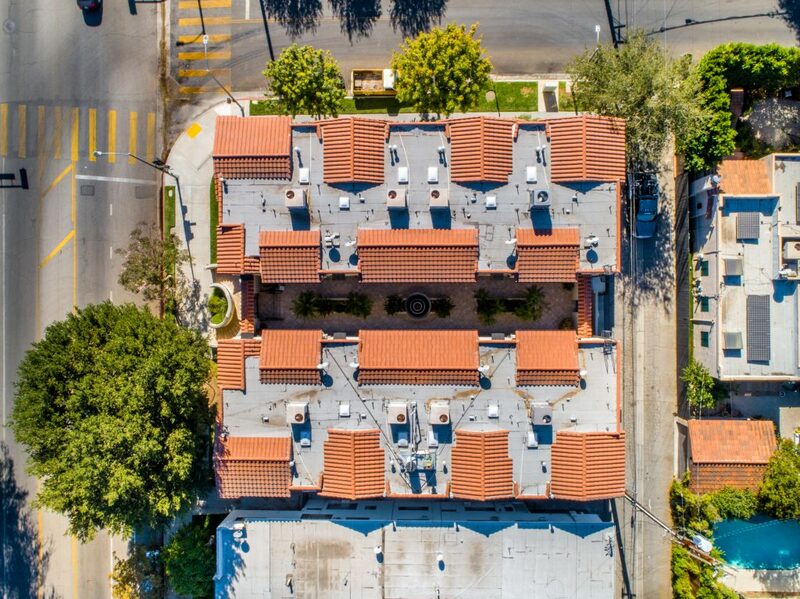 Moments from the charming shops and restaurants of Tujunga Village, and conveniently located to the Studios and Ventura Blvd, don’t miss this amazing home!